Is It Really The Coldest It's Been In Over 30 Years? The big list of places to spend the day lounging, soaking, swimming, working out, and rejuvenating. 1) Chinese websites often have deep discounts for five star hotels. Sometimes you might as well just book a room and turn it into a staycation, especially if you're more than one. 2) We called dozens of hotels for this article, and if a prominent place is missing, e.g. The Puli, that's because they don't open their facilities to the public. Day Pass: 437rmb for adults and 380rmb for kids under 16 years old. Available from 6am-11pm. Yearly Price: 25,000rmb or 45,000rmb for two. Spa Features: A pool and a gym; the shower rooms include sauna, a steam room, and a thermal bath. ­Pool: The pool size is 20m x 7m x 1.4m. It's up on the 53rd floor, with an incredible view of Lujiazui. Day Pass: 300rmb per person. Unfortunately, the day pass is only valid if you go with a friend staying at the hotel, otherwise the only choice is a monthly package of 3500rmb. That's available from 6am-11pm. Yearly Price: 23,000rmb/year, including yoga classes. Spa Features: Outdoor and indoor pool and gym; shower rooms include a sauna, a steam room and a thermal bath. 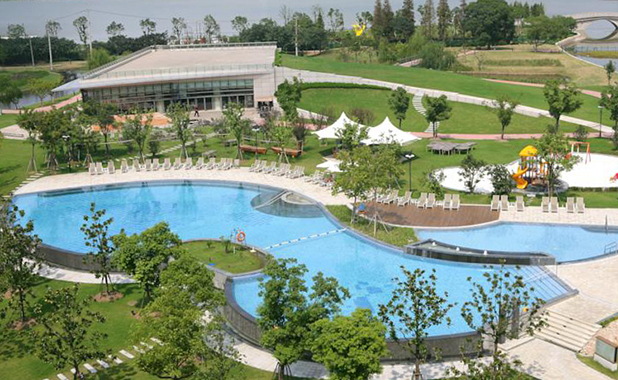 ­Pool: Am outdoor and indoor swimming pool. The size is 20m x 7m x 1.2m, located on the seventh and eight floor with a nice view of the hotel garden. 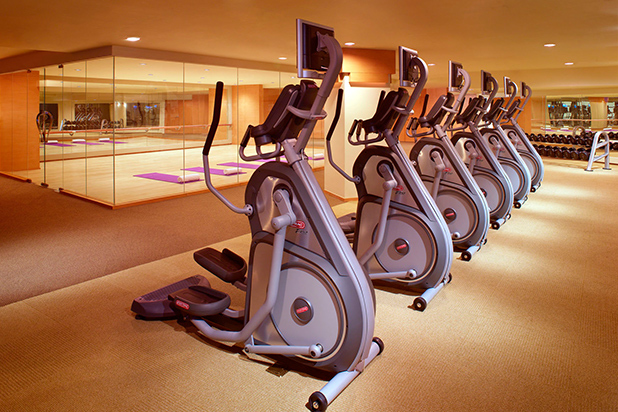 Other facilities: Access to the squash court is included in the price. Rackets are 50rmb to rent, and balls are 20rmb. Day Pass: 480rmb for adults and 240rmb for children under 14 years old. Available from 8am­-11pm. Yearly Price: 15,000rmb for two adults. 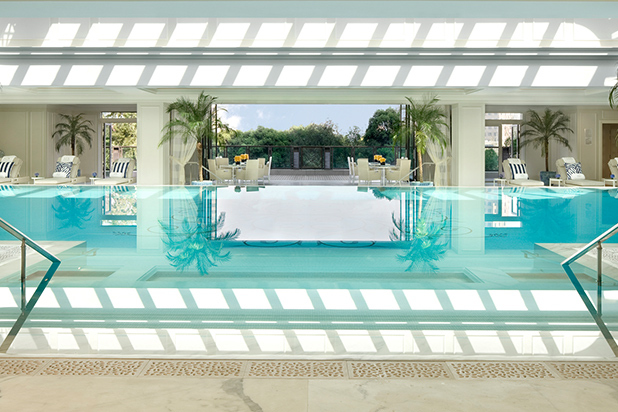 Spa Features: Pools and gym, shower rooms, thermal bath, and a steam room. ­Pool: Four pools total, all indoors and underground with no view. The biggest pool is 22m x 15m x 1.4m. Day Pass: 552rmb for adults and children. Available from 6am­-10pm. Yearly Price: 40,000rmb. 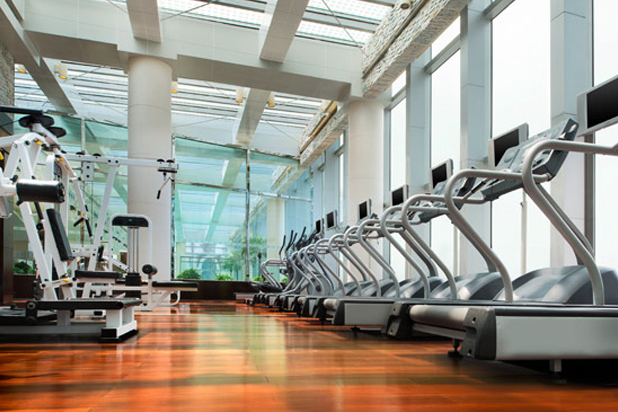 After becoming a member, you can get 25% off spa services (like massages), dining, and gym classes in the hotel. Spa Features: A pool and a gym, shower rooms, a sauna, a thermal bath, and a steam room. 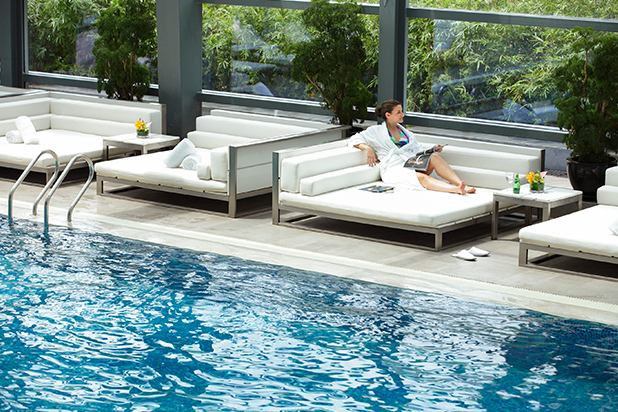 ­Pool: A fairly big pool at 25m x 7.5m x 1.3m, overlooking the Suzhou Creek. Day Pass: 300rmb per person and free for kids under two years old. Available from 6am­-11pm. Yearly Price: 15,000rmb. 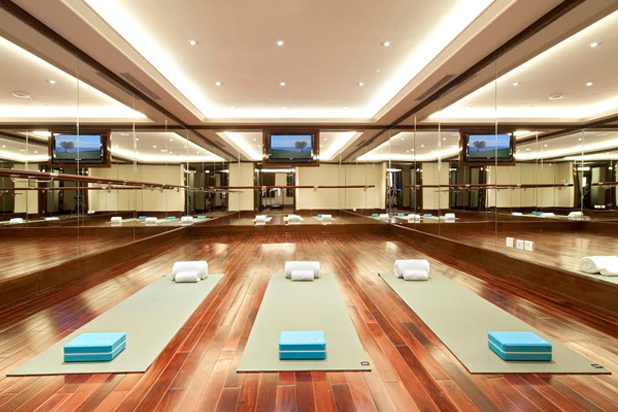 Members get two free yoga lessons at the gym every week; classes are every Monday and Thursday from 7-­8pm. Spa Features: A pool, a gym, and shower rooms with a sauna and steam room. Pool: The 5m x 12.5m x 1.2m pool is in the basement, so no views here. Day Pass: 400rmb for adults and 200rmb for kids under 12 years old. Available from 6am­-11pm. 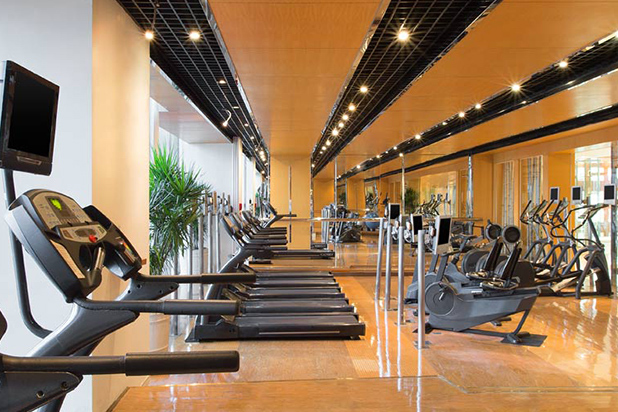 Spa Features: A pool, a gym, and shower rooms with a sauna, a thermal bath, and a steam room. Pool: Not the biggest pool at 15m x 15m x 2.1m, but it's on the fourth floor with an alright view of Jing'an Temple. 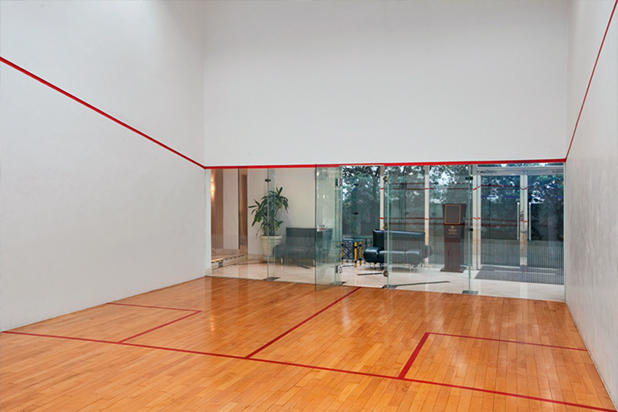 Other Facilities: Squash room and tennis room, (200/hour for non member, 50rmb racket for rent). Day Pass: 350rmb for adults, 150rmb for kids under 12 years old. Available from 6am­-11pm. Yoga classes are 180rmb. Spa Features: A pool, a gym, and shower rooms that include a sauna, a thermal bath, and a steam room. 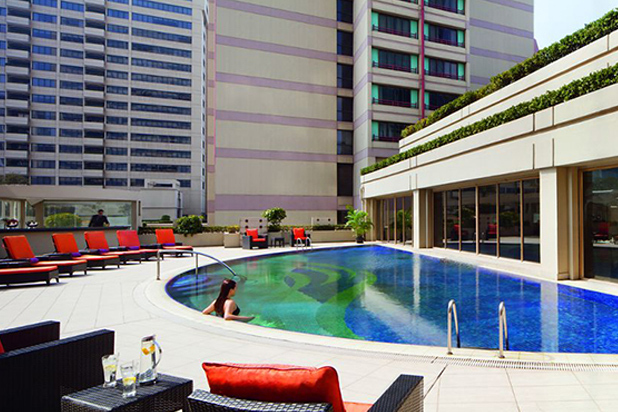 Pool: Pool size is 20m x 6m x 1.5m, located on the fourth floor with some ok city views. Day Pass: 300rmb for adults and 150rmb for under 12 years old. Available from 6am-­11pm. Spa Features: A pool, a gym, and shower rooms that include a sauna and a thermal bath. 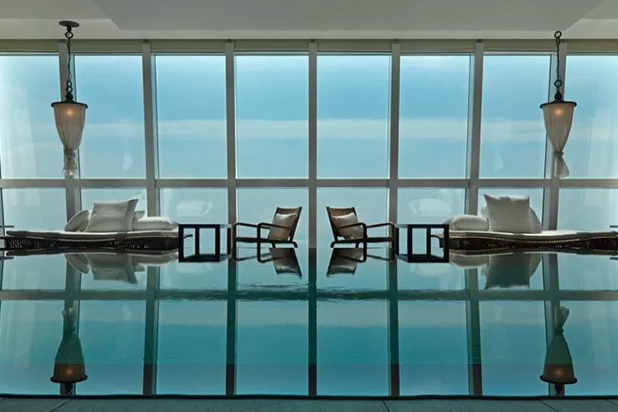 ­Pool: The pool is 18m x 7m x 1.2m, up on the third floor with a view of Guangdong Lu. Day Pass: 300rmb for both adults and kids, available from 6am­-11pm. Yearly Price: 12,888rmb, or 8888rmb a year if you only go during non-peak hours (9am-­5pm). Spa Features: A pool, a gym, and shower rooms with a sauna and a thermal bath. Pool: The pool is 12m x 5m x 1.2m. No views, but it gets the job done. Day Pass: 300rmb per person and free for children under 1.2m. Available from 6am­-11pm. Pool: A round 20m pool on the fifth floor with some views of the city. Yearly Price: 17,300rmb. Members get free yoga classes every day. Spa Features: A pool, a gym, a ping pong room, and shower rooms with a sauna and a thermal bath. Pool: A 25m round pool with garden views. Other Facilities: Outdoor tennis is 250rmb per hour; racket rental is 50rmb. The garden area around the pool is quite nice if you want to sit outside and read or chat. Note: We've seen rooms for as cheap as 600rmb here. Day Pass: 300rmb for adults and 160rmb for children under 16 years old. Available from 6am­-10.30pm. 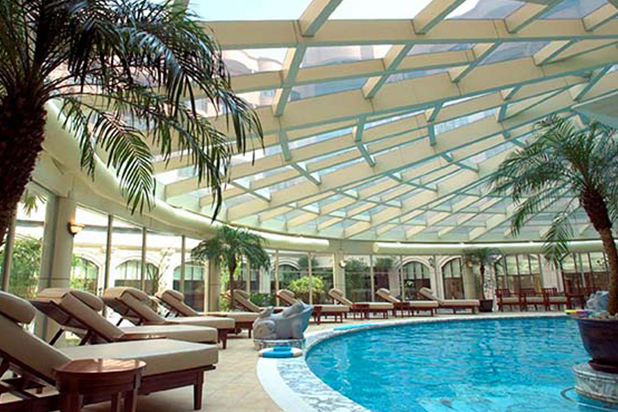 Spa Features: An indoor pool, a gym, and shower rooms with a sauna and a thermal bath. Pool: The pool size is 20m x 6m x 1.5 inside the gym. It's on the seventh floor, but the opaque windows obscure any view. Day Pass: 300rmb for adults and 160rmb for children under 16years old. Available from 6am­-10.30pm. Pool: The pool is 25m x 8m x 1.7m. 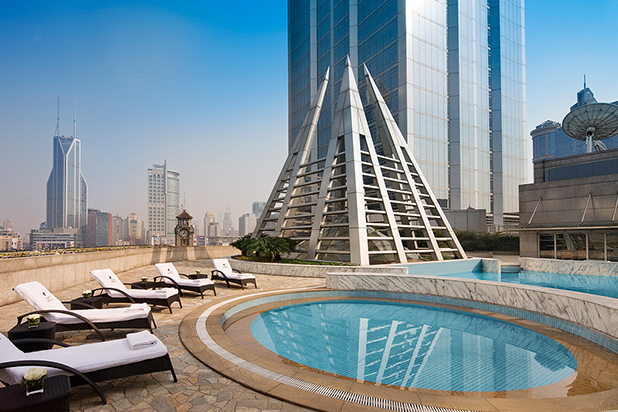 Located on the sixth floor, there's a nice balcony near the pool with a view of Hengfeng Lu. Spa Features: Indoor and outdoor pools, plus a gym and shower rooms with a sauna and a thermal bath. ­Pool: The pool is 25m x 6m x 1.2m. 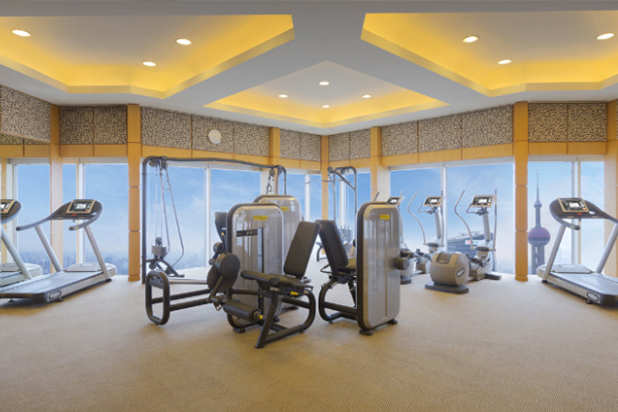 Located on the seventh floor, it's got nice views of downtown Shanghai. Yearly Price: 21,500rmb or 32,250rmb for two. 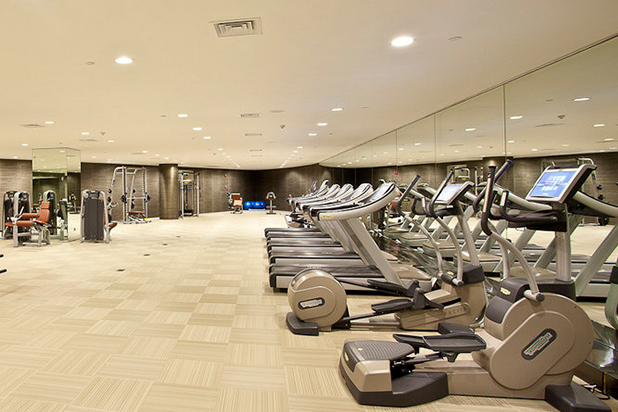 Spa Features: An indoor pool, a gym, and shower rooms with a sauna (dudes only) and a steam room. Pool: Pool size is 18m x 6m x 1.5m. No views. Other Facilities: Not a facility per se, but you could go downstairs and check out the jazz band after a day at the spa. Day Pass: 300rmb for adults and 150rmb for children under four years old. Available from 6.30am-10pm. Spa Features: An indoor, an outdoor pool, a gym, and shower rooms with a sauna and a thermal bath. ­Pool: The pool size is 25m x 10m x 1.6m. Great views of the man made lake nearby. Other Facilities: An outdoor tennis court, a badminton court, and a volleyball court. Costs 50-150rmb per hour with equipment included. This one really feels like getting out of town. Day Pass: 300rmb for adults and 100rmb for children under 12. Available from 6am-11pm. Yearly Price: 18,800rmb or 33,800rmb for a family of two adults and one child. Spa Features: A pool, a gym, and shower rooms with a sauna, a steam room, and a thermal bath. ­Pool: The pool is 22m x 8m x 1.2m. It's up on the 11th floor with fine views of Nanjing Dong Lu and New World. Day Pass: 500rmb for adults and kids. Available from 7am­-11pm. 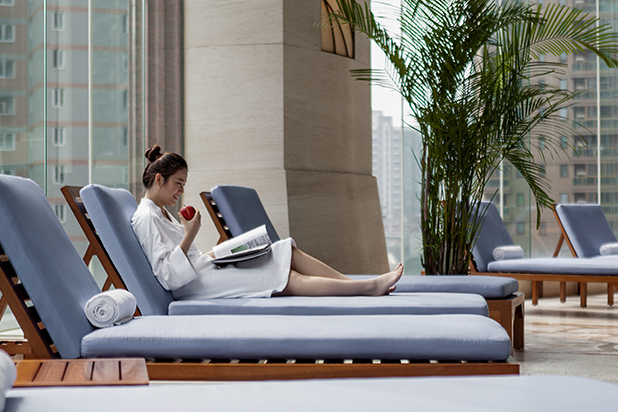 Packages: You can buy a monthly package that's valid every day from 10am-­2pm and includes a lunch bag for 3000rmb, or you can get one that's available from 5pm­-9pm for 2600rmb (no meal included in this one). 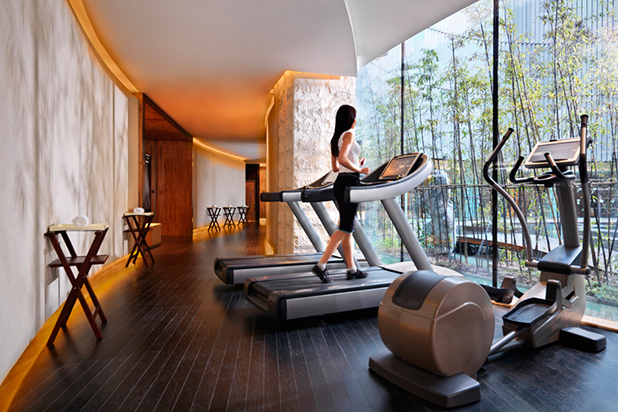 They also offer a six month package, valid daily from 10am­-2pm for 15,000rmb or from 5pm-­9pm for 12,600rmb. The six month package includes free laundry service. 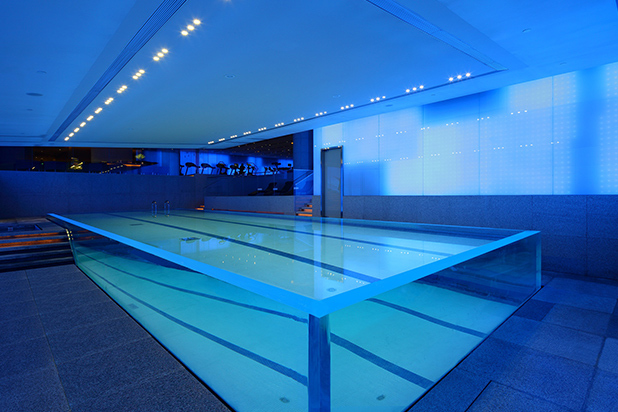 ­Pool: Park Hyatt's pool is the highest on this list -- it's up in the clouds on the 85th floor. The size is 20m x 5m x 1.2m. Yearly Price: 22,000rmb or 32,000rmb for a family membership card. 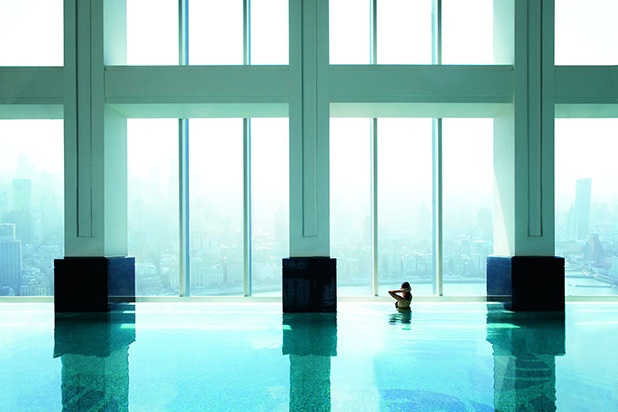 ­Pool: The second highest pool on this list, located on the 57th floor with clear views of Lujiazui and the Pearl Tower. Size is 16m x 5m x 1.6m. We also have a list of Shanghai's pools and an article about bathhouses. Lol shill. The hallowed smsh editorial policy hasn't been thrown around recently; I guess this is why.